We Did It, Al-Shabab. And We’re Still Fighting. 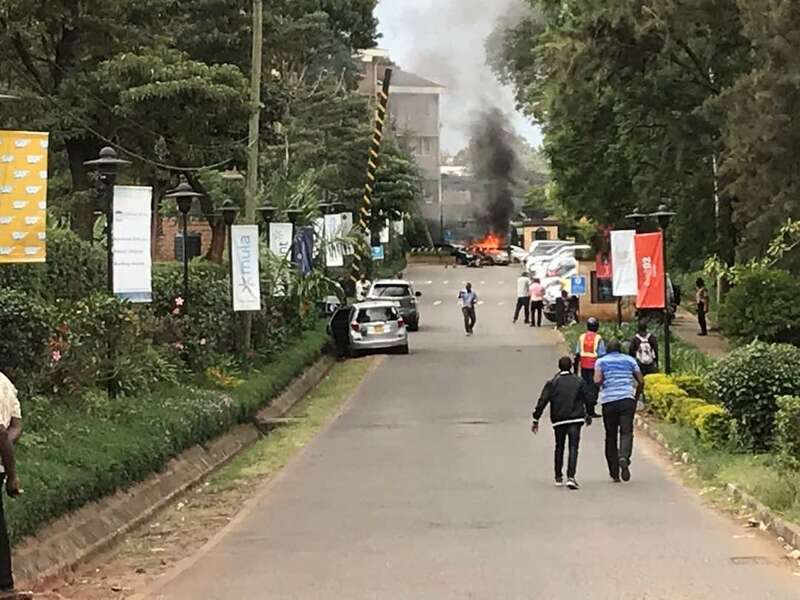 The Somali-based terrorist group al-Shabab is claiming responsibility for the attack on an upscale hotel complex in Nairobi adding that its members are still fighting inside. The group issued the claim via its radio arm, Andalus. Workers at one of the offices, said workers had barricaded themselves inside their offices after “several” explosions. “All police teams have been dispatched to the scene where the incident is. As at now we are treating it as anything, including the highest attack,” police spokesman Charles Owino said. 2013 west gate Mall attack in Nairobi , when al-Shabab extremists burst into the luxury shopping center, hurling grenades and starting a days-long siege that left 67 people dead.